For strong long-lasting knee support, the Metal Support Knee Guard with Bio-Ray is developed to give coinciding benefits through its 3-in-1 pain relief, support and power offering. Through our innovation, we have created metal flexible enough to provide enhanced support without any restriction of movement. 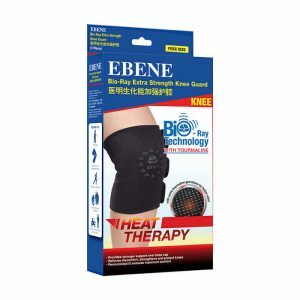 This knee support brace is extremely useful for those who have recently undergone surgery and requires extra support for walking. Also recommended for active sports men and women who need enhanced knee stabilization to prevent risk of knee injury. 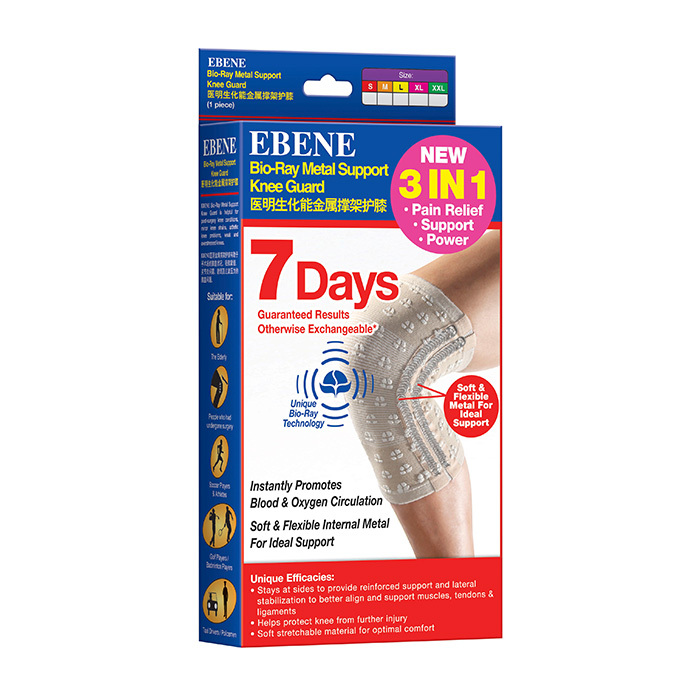 3 in 1 features that helps to; relieve knee problem, stabilize the knee joint and provide power simultaneously. 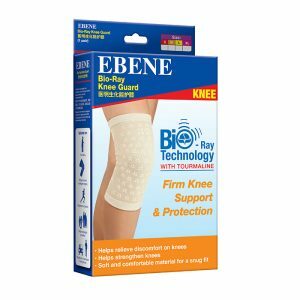 Innovative flexible metal that firmly supports and stabilize the knee joint. Soft stretchable material for optimal comfort. Strengthens knee movements with more energy, reinforces support and lateral stabilisation. 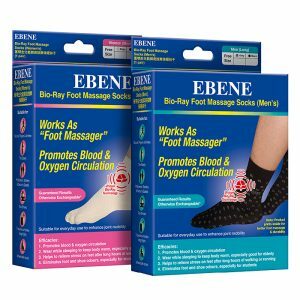 Helps the leg feel lighter, more relaxed and comfortable than before. Suitable for weak and stiff knees and post-surgery knee recovery. Highly recommended for sports-active individuals that engages in running or contact sports. And the elderly who require stronger support for their knees. Recommended to hand wash with mild detergent, avoid excessive rubbing and squeezing to prevent the removal of Bio-Ray materials. Rinse well and air dry. Slip knee guard over foot, with wider opening on thigh. Ensure fit is snug. Wear intermittently during the day for the first week and gradually increase length of wear. You can feel a difference after a few minutes of wear. Measure the circumference of lower thigh, 1 inch above your knee cap and you’re good to go.